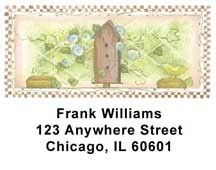 Make your labels stand out with Garden Fresh Address Labels. 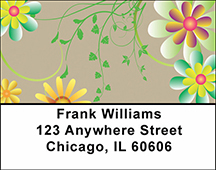 These labels feature four images of stylistic flowers. As always, these labels are available at our everyday low prices. Don't forget to purchase your matching personal checks. 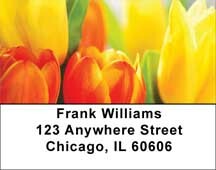 Bring your personal touch to social and professional connections with Garden Shed Contact Cards. Our high-quality Contact Cards have a premium glossy finish with space for up to 6 lines of personal information. Available in sets of 150. Complement your Check Gallery check order with our In the Garden Fabric Checkbook Cover. This high-quality personal checkbook cover will accommodate your favorite checks with pockets for your check register ID photos and more. Complement your Check Gallery check order with our Zen Garden Fabric Checkbook Cover. This high-quality personal checkbook cover will accommodate your favorite checks with pockets for your check register ID photos and more.